The former foreign secretary’s alleged putsch – denied by sources close to him – is reportedly being orchestrated by Tory election guru Sir Lynton Crosby. Both Mr Davis and Mr Johnson quit the Cabinet over the plans drawn up by controversial civil servant Olly Robbins. 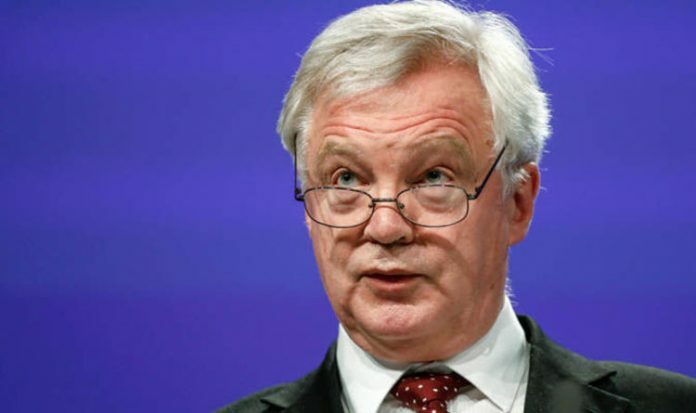 Speaking on the BBC’s Andrew Marr Show, Mr Davis poured scorn on Mrs May’s claim that she would not be forced into accepting compromises on the Chequers proposals that are not in our national interest, as that risked becoming “an incredible ‘open sesame’ to all”. He said: “In my view, the Chequers proposal is actually almost worse than being in. We will be under the rule of the EU with respect to all of our manufactured goods and agri-foods – that’s a really serious concession. What about ‘Take back control, it doesn’t work?’. With MPs returning to Parliament tomorrow, Mrs May aims to see off a challenge to her leadership by pledging she will “not compromise” further unless a change of policy is in the national interest. Over the weekend she tried to reassure Tory Brexit supporters that she does not plan to betray Britain and compromise further. Mrs May added that Britain would get through a no-deal outcome and “thrive”. 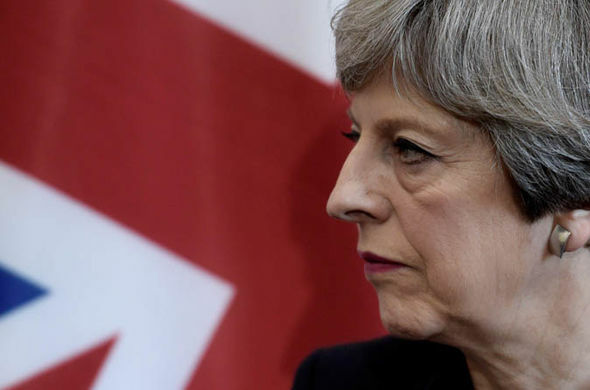 The Prime Minister’s aides have held talks with senior civil servants about whether to call a general election if a Brexit deal is rejected by MPs. However, the prospect of the Chequers plan being passed by Parliament was further reduced after leading Tory Remainer Nick Boles announced he could no longer support it. 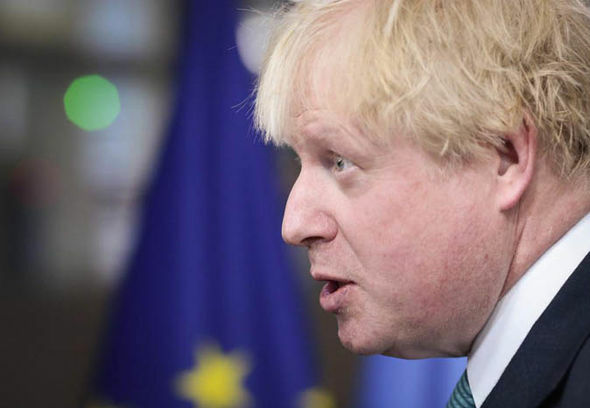 He said under the current plans, the UK faced “the humiliation of a deal dictated by Brussels”, which was treating the Chequers proposals as an “opening bid”. In a further blow, EU chief negotiator Michel Barnier said he too was completely opposed to Mrs May’s proposal because it would “destroy the EU”. The Chequers plan would see Britain share a common rule book on goods but not on services, leading to claims from senior Brexiteers that it would force Britain to accept regulations drawn up by Brussels without any say. Mr Johnson has said it would turn Britain into an “EU colony” while top Tory Jacob Rees-Mogg warned it would make Britain a “vassal state”. There is also speculation that the nationwide campaign is using more than £750,000 funds raised by the supporters of Mr Rees-Mogg. Mr Rees-Mogg has insisted he does not want a change of leader but “a change of policy”. But in private he has backed Mr Johnson as a successor to Mrs May. Eurocrats hate the proposals because it undermines EU single market rules and in their view gives Britain an unfair advantage in financial services. 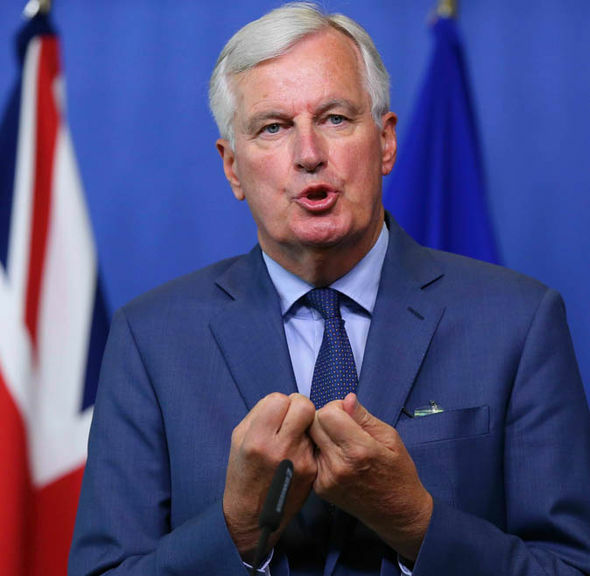 Both Mr Barnier and the Brexiteers are pushing for a so-called “Canada plus” deal – an improved version of the free trade agreement carved out by the EU and Toronto. Mr Barnier told German newspaper Frankfurter Allgemeine Zeitung a proposed common rule book for goods would kill the European project. He said: “We have a coherent market for goods, services, capital and people – our own ecosystem that has grown over decades. You cannot play with it by picking pieces. He said: “Can you think back in all your time in politics where the Treasury have made predictions that were correct 15 years out? I can’t – they didn’t predict the financial crisis that happened, no one could.